:D love these fellows ! Thank you, ladies. I'm glad you like it. Nice idea, but vultures aren't much danger. The starlings are (sadly) safe! I know. 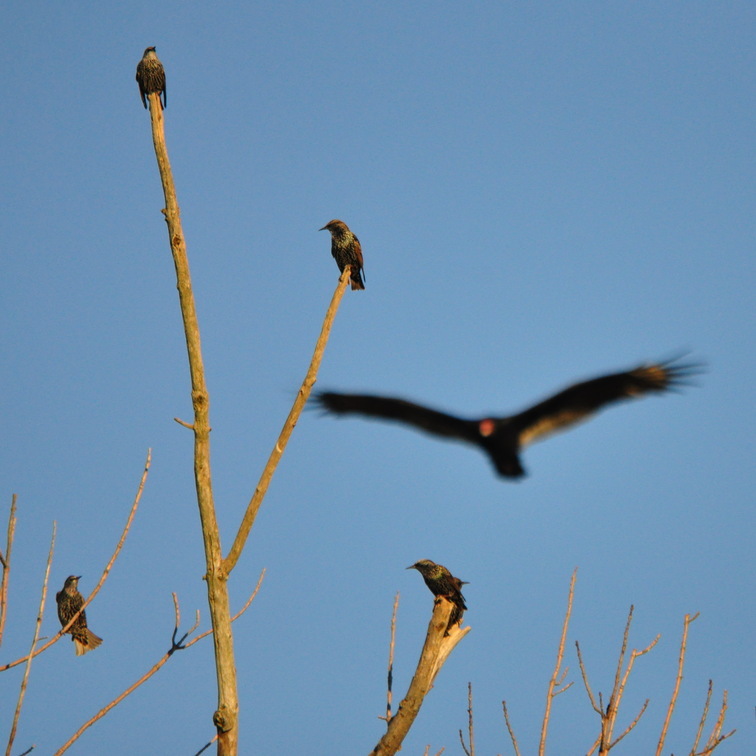 And the starlings weren't too concerned about the vulture fly-by either. Nonetheless, I like the ominous doom implied by the picture. The photo has been viewed 786 times.